Korean electronics giant Samsung has announced that its Samsung Wallet service will be shutting down on June 30th as the company migrates to the upcoming Samsung Pay service. Any reservations or ticket purchase you may have made through the app will still be available after June 30th but all other features will be discontinued. 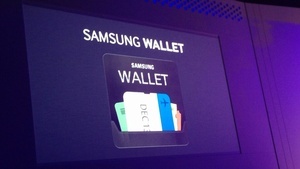 The Wallet service was created to let Samsung phone and tablet users place all their coupons, membership cards, boarding passes and mobile payment services in one place. By all accounts, the app was moderately successful and Samsung had deals with American Express, Expedia, United Airlines and other large companies. Samsung Pay, the company's rival to Apple Pay, is expected to launch in the Q3.